The airline uses airport facilities in Yakutsk, Moscow (Vnukovo Airport) and Krasnodar as its operating bases and has offices in more than 30 cities across Russia and overseas. Air transportation from Yakutsk, the capital of Sakha Republic, goes through Yakutsk Airport to all parts of Yakutia and many cities in other Russian regions; the airline also has scheduled and chartered international flights. Regional routes have a special place in the airline’s transportation structure. Aviation is a key factor stimulating inter-regional dialogue and supporting the development of economic relations and trade between Russian regions. Additionally, many remote communities are linked to district towns exclusively by roads, which are unaccessible at certain times of year. For this reason, there is a social need for new regional air routes. When introducing new flights, Yakutia Airlines first looks at potential social demand for the new route. Reintroducing flights previously closed for various reasons makes it easier for passengers to reach certain destinations. Residents of the RFE and Eastern Siberia can travel between adjacent regions directly, without the need for making a connection at a distant hub airport in Western Russia. Yakutia Airlines is making air travel more accessible for different categories of Russian citizens and has been participating in the federal program for subsidized travel for younger people (age 23) and retired people (over 60) from the RFE to European Russia since 2009. The number of passengers carried under this program has been rising every year (e.g. the airline carried 48,184 subsidized passengers in 2010 vs. 58,994 in 2011). The airline also adds new destinations for subsidized travel every year, with 12 destinations in 2012 compared to seven in 2009 (e.g. subsidized flights now connect Tiksi and Pevek with Moscow). The airline updates its flight schedule twice every year, depending on seasonal demand for certain flights. The list of flights for summer 2012 includes various traditional routes: Yakutsk - Krasnoyarsk - Anapa; Yakutsk - Omsk - Anapa; Krasnodar - Krasnoyarsk - Petropavlovsk-Kamchatsky; Krasnodar - Irkutsk - Petropavlovsk-Kamchatsky; and Krasnodar - Omsk - Khabarovsk. The airline has also resumed its Moscow - Omsk and Magadan - St. Petersburg flights and made Yakutsk - St. Petersburg direct, eliminating the previous stopover. New flights include: Yakutsk - Petropavlovsk-Kamchatsky (direct), Moscow - Tiksi, Khabarovsk - Shakhtersk, Petropavlovsk-Kamchatsky - Anchorage (US), Krasnodar - Bishkek, Moscow - Makhachkala, Moscow - Komsomolsk-on-Amur, and Moscow - Novokuznetsk. Residents of Yakutsk and Petropavlovsk-Kamchatsky can now fly across the Bering Strait to Alaska’s largest city, Anchorage. The main purpose of this destination is to boost tourism, and reintroducing this “heritage” flight should help develop additional links between the RFE and Alaska. The Moscow - Tiksi flight has been added to the program of subsidized air travel for residents of the RFE to European Russia. The new route enables residents of Northern Yakutia to travel to Moscow directly without first having to travel all the way to Yakutsk. Yakutia Airlines is also constantly adding new destinations for its flights originating from Moscow, including four this year alone, all starting from Vnukovo Airport: Mineralnye Vody, Makhachkala, Komsomolsk-on-Amur and Novokuznetsk. The airline’s charter program for July-August this year includes flights to Spain (Barcelona and Palma-de-Majorca) from Vnukovo. The airline offers charter flights from Krasnodar and Rostov-on-Don to Rimini, Italy in April-October. Narita Airport in Tokyo is a new destination available for charter flights originating from Irkutsk International Airport. Those wishing to vacation in China have several options to choose from. Charter flights are available to the popular tourist destination of Shanhaiguan in July-August from three cities: Yakutsk, Khabarovsk and Blagoveschensk. The airline has also reintroduced its Yakutsk - Dalian flights. Another new addition to the 2012 charter flight program is flights between Khabarovsk and Weihai, a resort city on the Yellow Sea in China’s Shandong Province. Charter flights on this route are available this year on Saturdays between July 7 and September 1. Expansion of Yakutia Airlines route map is giving a boost to its passenger and freight carriage numbers, with the volume of passengers carried as the most important indicator of growth: the airline carried over 1 million passengers for the first time in 2011, registering its millionth passenger on December 21 at Yakutsk Airport. It ended 2011 with 1,018,999 passengers carried to all destinations, up 12.8% year-on-year from 903,283 in 2010. From its earliest days, Yakutia Airlines has been focused on social needs and projects. Its program to replace obsolescent aircraft with more modern planes that comply with ICAO new-generation aircraft standards aims not only to improve the quality of passenger service, but also to reduce its environmental impact. This is a clear reflection of the airline’s responsible attitude. 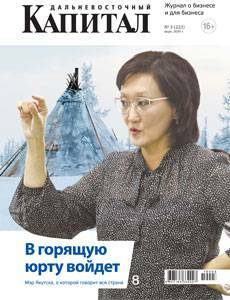 The carrier is actively involved in a range of social projects in Sakha Republic in support of education, culture, sports and child care; it also provides support to talented young people and retirees. Yakutia Airlines is the official carrier for most high-profile events in the republic, including the V International “Children of Asia” Games that Yakutsk hosted in July.